Beer and Bowl on Saturday 17th March from 11am onwards. Another St. Patricks Day is upon us, and although we are not Irish, we sure have a similar liking for beer and a good time! So we will be giving a free Pint of Beer for every double deal purchased! 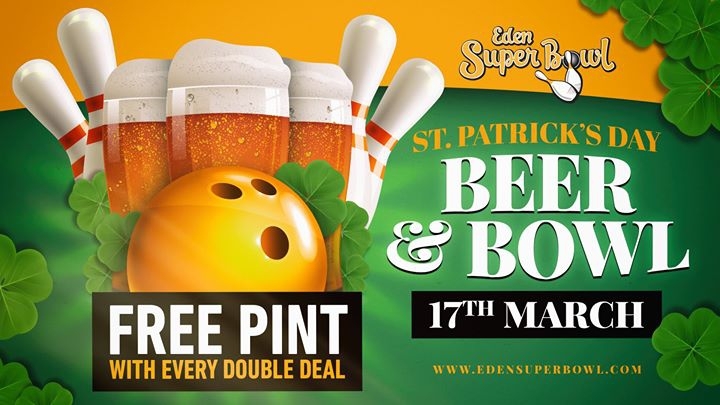 Come over to Eden SuperBowl and celebrate one of Malta most awaited feasts while enjoying a day of Beer and Bowling!